As a GMC dealer, we at Carl Black in Orlando feel that we are all a part of a community that can provide for each other in a multitude of ways. 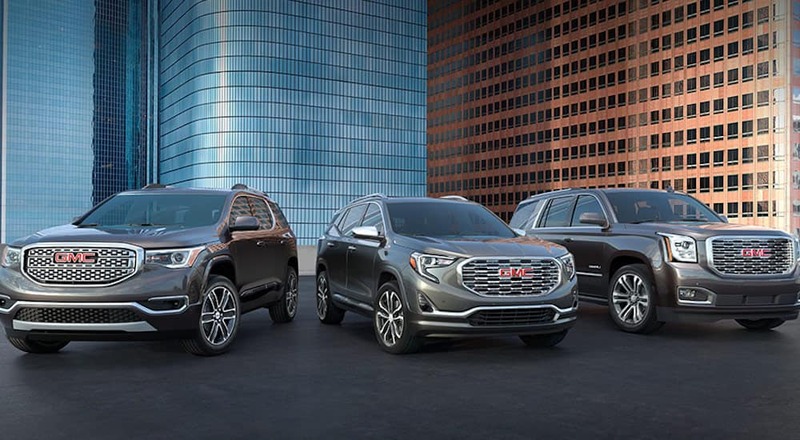 We provide you with quality vehicles and service, GMC provides you with endless possibilities, and the drivers provide us with their satisfaction and loyalty. It is almost as if we are a flowing ecosystem that allows everything to thrive. While we at Carl Black in Orlando, your GMC dealer, can provide you with more than just vehicles, such as with customer-centric service and well-informed staff, they are and always will be the stars of our show and deserve to be highlighted. Each and every SUV and truck we provide each shines with its own distinct beauty that is sure to satisfy every type of driver. offered by GMC, but still one of the most powerful of its class. You will get three engine options including a 1.5L 4-cylinder and 2.0L 4-cylinder turbo engine paired with a sleek 9-speed auto transmission or a 1.6 turbo diesel paired with a 6-speed auto transmission. With a max of 252 hp the acceleration is smooth, and with 260 lb-ft of torque can tow up to 3,500 pounds. You will also get the choice between FWD and AWD for less than $5,000 more. So if you need something strong, small, and stylish the GMC Terrain is a definite must buy at any GMC dealer. Towing: 1,500 to 3,500 lbs. As another SUV by GMC, the GMC Acadia is well-balanced and packed with only the best features. Some key features include a quiet and refined interior, a brilliant infotainment system, active safety features that focus on keeping you alert, and an impressive 3.6L V6 engine for all your power needs. This model is also extremely spacious with versatile storage with 79 ft³ of cargo space and three comfortable rows of seating that will fit up to 6 people. The GMC Acadia is just the ideal SUV you are looking for to make your life better. Towing: 1,000 to 4,000 lbs. Measuring in at 204″ L x 81″ W x 74″ H the GMC Yukon is a full-size, three-row SUV and the largest available on the lot. The Yukon offers more space than most people know what to do with, granting 94.7 ft³ of cargo space. It can hold up to 8 people, and the Yukon XL is also an option for those that wish to expand their vehicle space even further to 121.7 ft³ of cargo space. The power is just as impressive as the size with a 6.2L V8 engine with 420 hp and 460 lb.-ft. of torque. Overall if you want your SUV flexible, muscular, and spacious the GMC Yukon is a beastly choice you will never regret making. Towing: 6,300 to 8,400 lbs. The Canyon is a small pickup truck with a lot more potential than most drivers realize due to it being overshadowed by the clearly impressive Sierra lineup. The GMC Canyon starts at less than $25,000 brand new and has the potential to tow up to 7,700 pounds and offers 308 hp. The brakes are Duralife, the headlamps are LED, and the rear vision camera is standard leaving nothing to chance when it comes to safety. It also offers plenty of intelligent and artistically pleasing features. When it comes to trucks you should never count the GMC Canyon out until you’ve gotten behind the wheel of one at your local GMC dealer. Towing: 3,500 to 7,700 lbs. Payload: 1,418 to 1,587 lbs. When it comes to light-duty trucks very few if any can compete with the GMC Sierra 1500. With a max of 12,500 pounds of towing potential the Sierra 1500 strives to make your life easier and more efficient. The thing that is even more impressive than the power of the Sierra 1500 though is the way it still manages to keep its refinement. The cabin of the Sierra 1500 is nothing less than luxurious with high-quality seating and quieting technology to make you feel right at home no matter how long the drive may be. Power and luxury have never looked so good together. Payload: 1,739 to 2,018 lbs. The GMC Sierra HD in either the 2500 or 3500 editions is a proud and powerful heavy-duty truck that live only to show off its muscles every chance it gets. Its design is fairly similar to the Sierra just more advanced in the ways of performance output and with a bigger and bolder design to reflect that. Nothing works harder for you than a GMC Sierra HD. Payload: 2,968 to 3,559 lbs. Payload: 3,283 to 6,137 lbs. Every GMC vehicle has extremely high standards for their power output. Whether it is a 4-cylinder, V8, or V8 you can be assured that a GMC automotive will only be providing you with the best powertrain options available. From light-duty to heavy-duty, a GMC dealer will have something ideal for your needs. 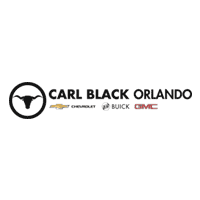 We at Carl Black GMC dealership in Orlando desire nothing more from you than your honest feedback and limitless satisfaction. We believe a dealership is a community and that loyalty on both ends is the greatest achievement we can gain. So all we ask from you is to please be sure to tell us how your experience was, leave with a smile, and always come back with without hesitation.